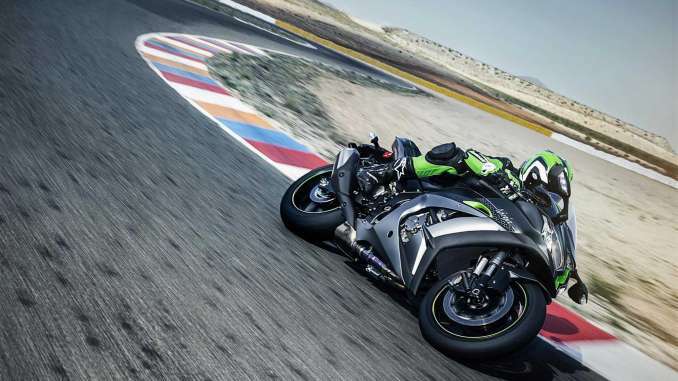 street and on the track, the suspension’s superb damping character offers a level of ride comfort that almost makes you forget you are riding a machine with race-ready suspension. 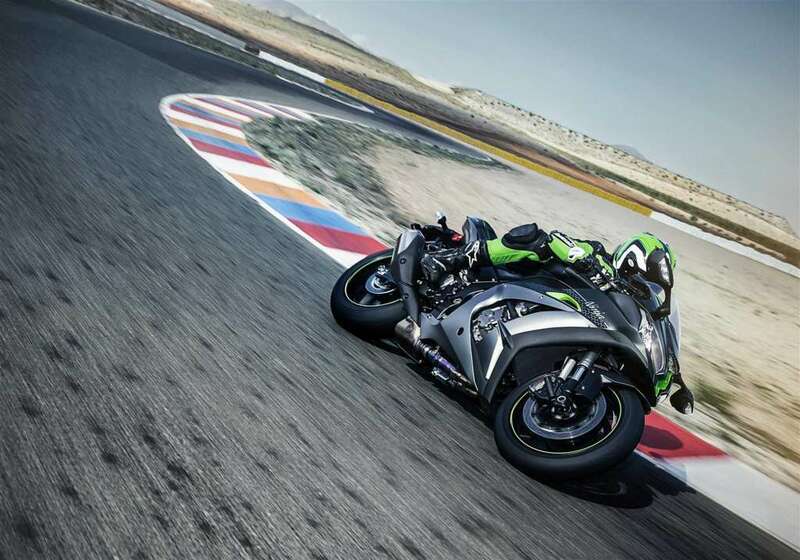 Rest assured, the Ninja ZX-10R’s high circuit potential is undiminished. Comfort and Performance. 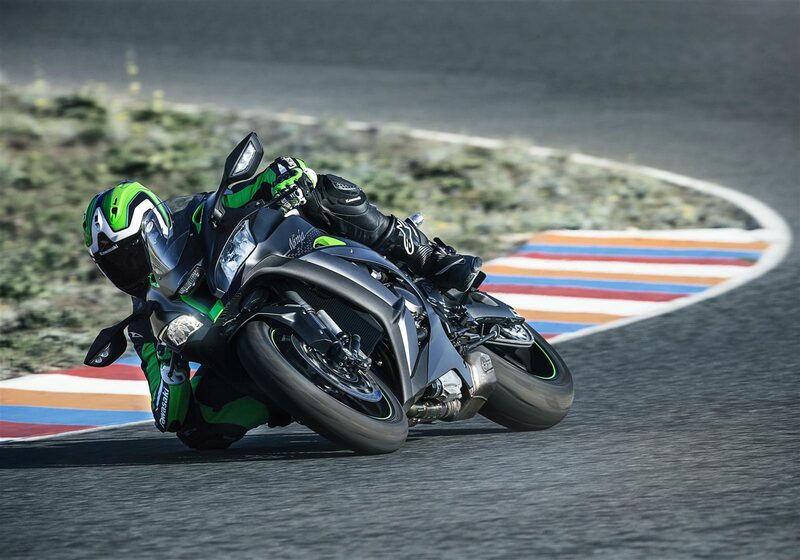 The new Ninja ZX-10R SE really does offer the best of both worlds. Available in Metallic Carbon Gray/Metallic Matte Carbon Gray paint. 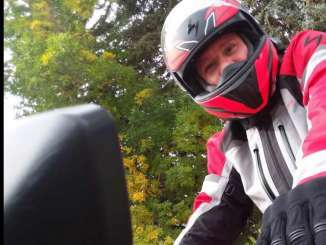 Riders can choose from three modes: Road, Track, and Manual. Road and Track modes provide softer or firmer base settings to suit streetriding or circuit riding, respectively. Manual mode allows riders to tailor the rebound and compression damping base settings to suit preference and/or riding style. The manual settings (15 levels each) are selected electronically via the instrument panel. In all three modes, KECS adjusts damping for vehicle speed, stroke speed and deceleration. 7-spoke multi- directional forged aluminium wheels jointly developed with Marchesini contribute to lighter handling – especially when changing direction. Designed for effective sport riding, KQS can also be used on the street at rpm above 2,500 min-1. Jointly developed with Showa, KECS adds electronically controlled damping to the high-spec Balance Free Front Fork and BFRC lite (Balance Free Rear Cushion) rear shock equipped on the Ninja ZX-10R. The semiactive system adapts to road and riding conditions in real time, providing the ideal amount of damping called for. Combining advanced, race-developed mechanical components with the latest electronic control technology, KECS offers both the suppleness to handle a wide range of street riding situations, and the firm damping needed for circuit riding. The tyres feel planted, delivering confidence when cornering. Control is via a solenoid valve with direct (single-stage) actuation. This results in extremely quick reaction time: 1 millisecond – much quicker than systems that rely on step-motors, or those that use pilot valves (two-stage actuation), which slow the system’s responsiveness. The quick reaction time makes KECS ideal for supersport applications, where natural feeling is crucial to feeling at one with the bike. 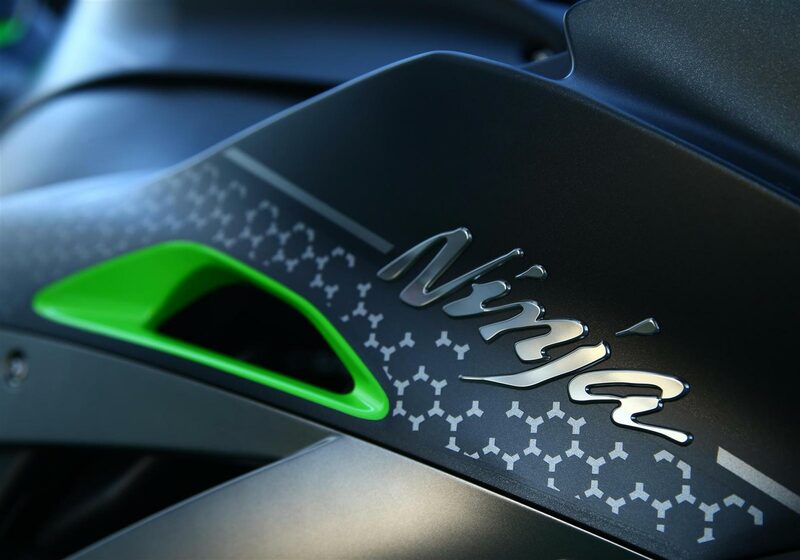 Built-in stroke sensors on both the fork and rear shock – a feature unique to the Ninja ZX-10R SE – provide real-time stroke speed and compression information. The sensor coils provide input to the KECS ECU every 1 ms. This is complemented by information provided by the IMU (acceleration/deceleration) every 10 ms, and the FI ECU (vehicle speed) every 10 ms. The KECS ECU then directs current to the solenoids to adjust damping as required by the situation. 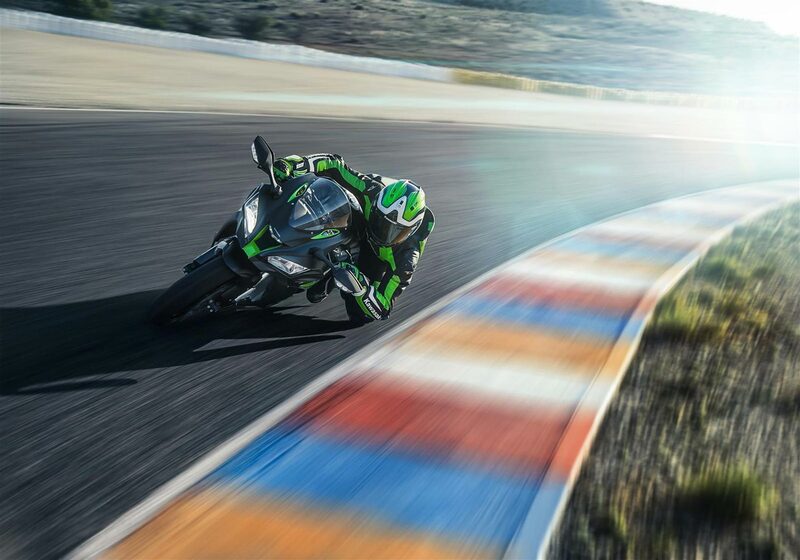 S-KTRC, Kawasaki’s original predictive traction control, uses the same base technology as the Kawasaki works machines that competed in MotoGP, the pinnacle of motorcycle racing. This technology continually controls the rear wheel slip that occurs when power is applied, ensuring optimal acceleration. In general, maximum forward drive requires a certain amount of slip (usually between 20-30% slip ratio, i.e. the rear wheel is turning 20-30% faster than the front). To ensure the most effective transfer of power to the tarmac, S-KTRC monitors the slip ratio in real time, and governs engine power delivery to optimise rear wheel traction. KECS adapts to road and riding conditions in real time, providing the ideal amount of damping called for by electronically adjusting damping to suit vehicle speed and suspension stroke speed. Deceleration is also taken into account, which allows the system to help manage pitching that may occur during braking. Control via solenoid valve with direct actuation enables an extremely quick reaction time, making KECS ideal for sport riding applications, where natural feeling is crucial to feeling at one with the bike. Built-in stroke sensors on both the fork and rear shock provide real-time stroke speed and compression information. Input from the sensor coils to the KECS ECU is complemented by information provided by the IMU (acceleration/deceleration) and the FI ECU (vehicle speed). The KECS ECU then directs current to the solenoids to adjust damping as required by the situation. Selectable modes allow riders to choose softer or firmer base settings.